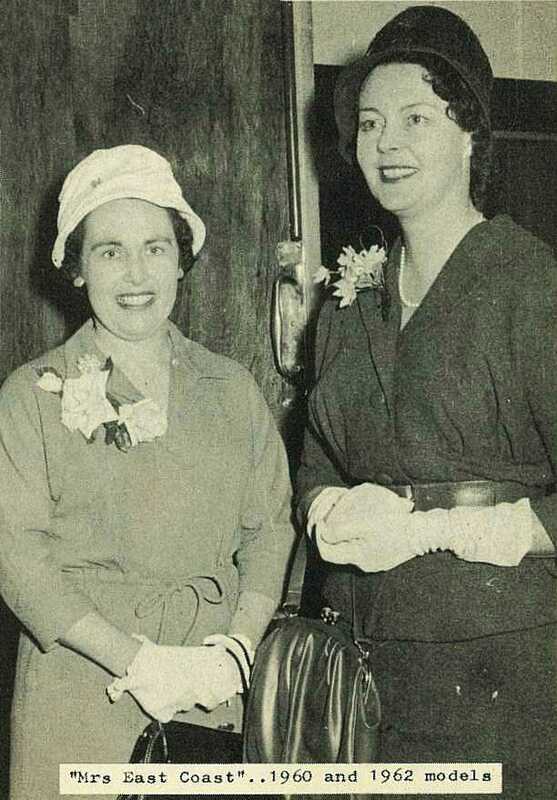 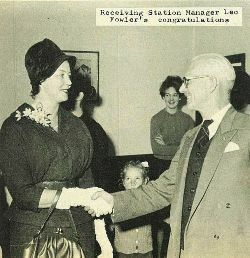 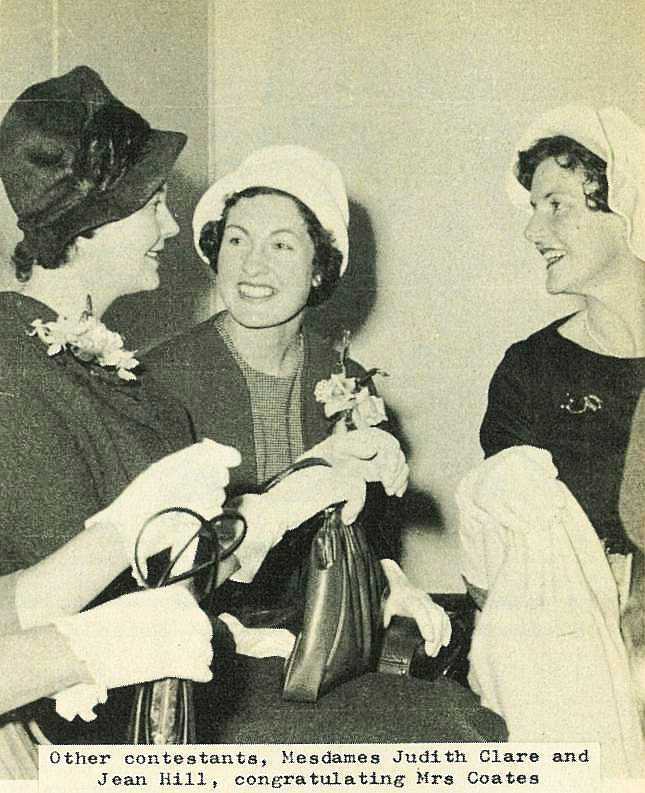 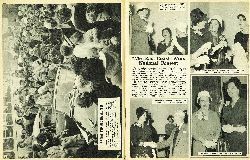 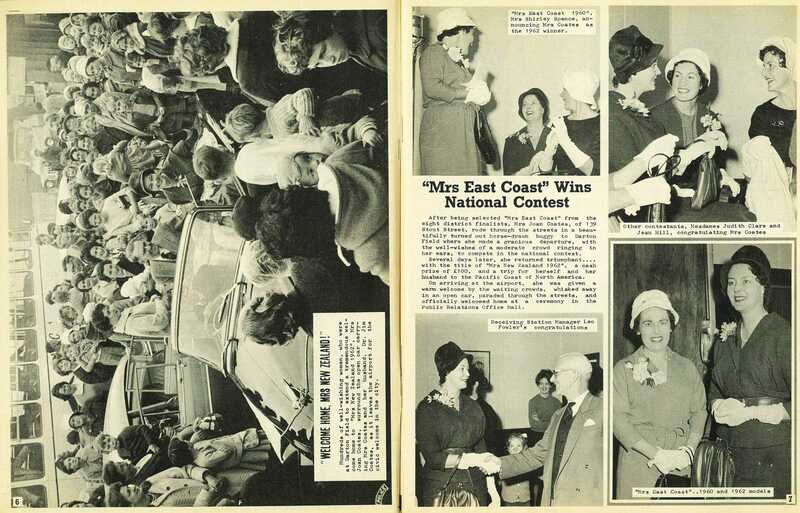 After being selected "Mrs East Coast" from the eight district finalists, Mrs Joan Coates, of 139 Stout Street, rode through the streets in a beautifully turned out horse-drawn buggy to Darton Field where she made a gracious departure, with the well-wishes of a moderate crowd ringing in her ears, to compete in the national contest. 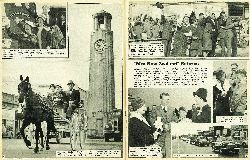 Several days later, she returned triumphant....with the title of "Mrs New Zealand 1962", a cash prize of £100, and a trip for herself and her husband to the Pacific Coast of North America. 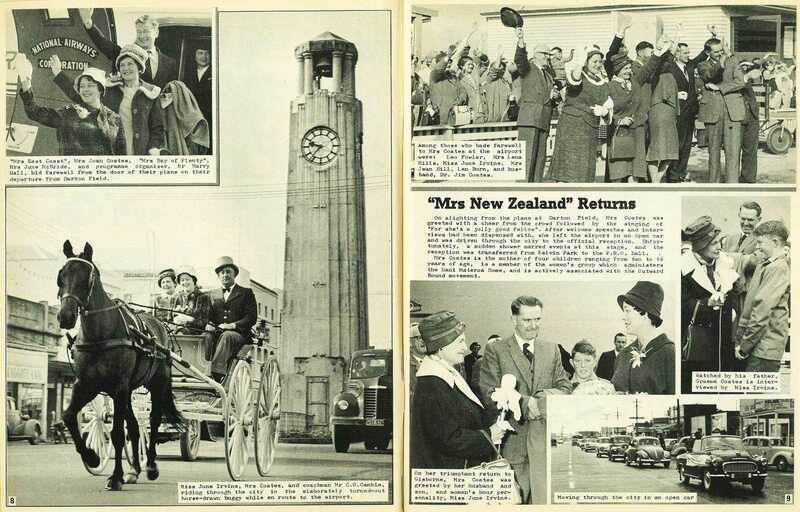 On arriving at the airport, she was given a warm welcome by the waiting crowds, whisked away in an open car, paraded through the streets, and officially welcomed home at a ceremony in the Public Relations Office hall. 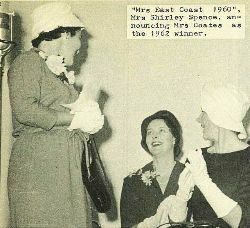 "Mrs East Coast 1960", Mrs Shirley Spence, announcing Mrs Coates as the 1962 winner. 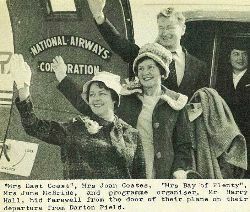 "Mrs East Coast", Mrs Joan Coates, "Mrs Bay of Plenty", Mrs June McBride, and programme organiser, Mr Harry Hall, bid farewell from the door of their plane on their departure from Darton Field. 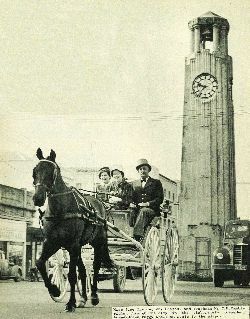 Miss June Irvine, Mrs Coates, and coachman Mr C. H. Cambie, riding through the city in the elaborately turned-out horse-drawn buggy while en route to the airport.